Christmas Day in the morning; let the feasting begin! A large section of our extra luggage was filled with two large pannetone from Fol Epi bakery in Victoria. 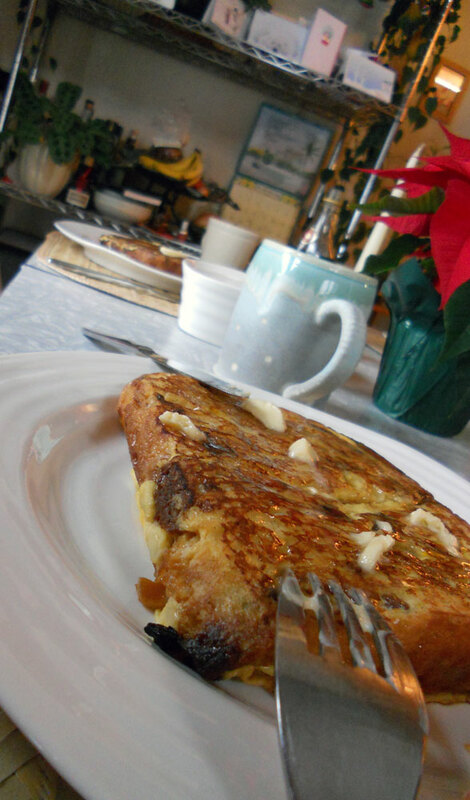 On Christmas morning, we made French toast with four thick slices of it. 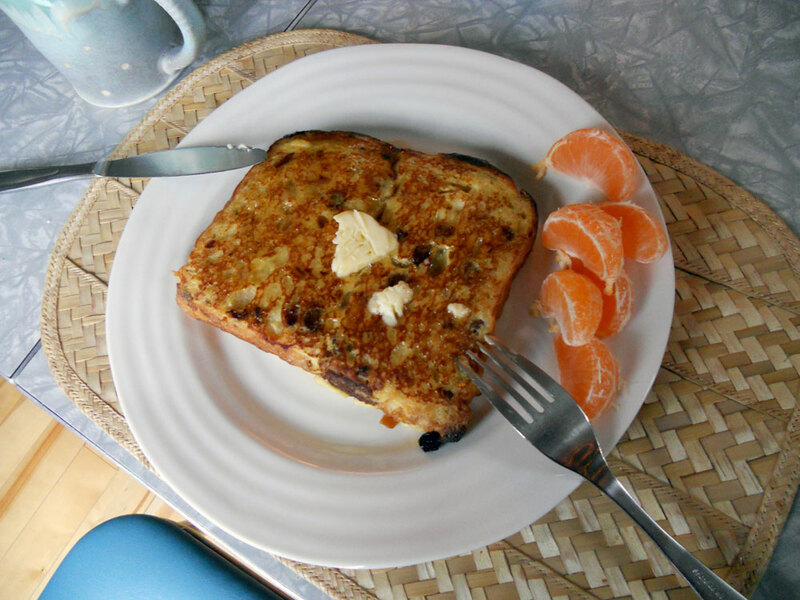 I made a simple mixture of eggs, light cream, vanilla and the juice of half a mandarine orange. So delicious and rich, one slice was more than enough!